"The Fountain Methodist Church and the Fountain Church Cemetery behind and to the left of it are located just a few yards off Illinois State Route 37 in the southern part of Williamson County, six miles south of Marion, Illinois. The handsome sign on Route 37 that identifies the short gravel road to the church and cemetery says, "FOUNTAIN UNITED METHODIST CHURCH ESTABLISHED 1858" and displays the colorful logo of the United Methodist Church with its cross and red tongue of fire. 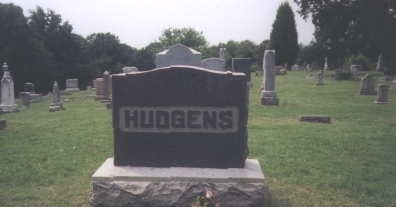 In the bottom right hand corner is the name "Hudgens", the signature of its painter and designer." Arba Lee Hudgens, August 1997. Any comments regarding the Fountain Church Cemetery Census contact Arba L. Hudgens.